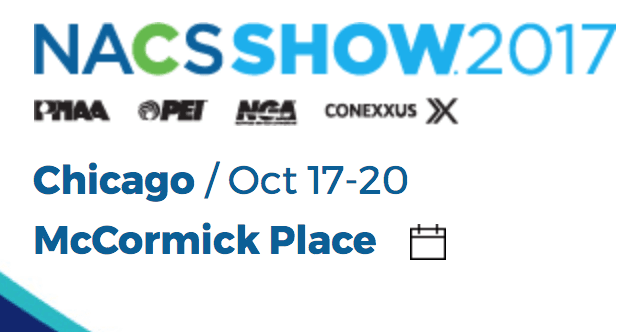 Blog - Lush Retail Environments Inc.
We are proud to announce that we are exhibiting at the NACS Expo 2017 in Chicago. Stop by our booth #127 in the facility operations section this week to see the freshest marketing and display concepts in convenience retailing. 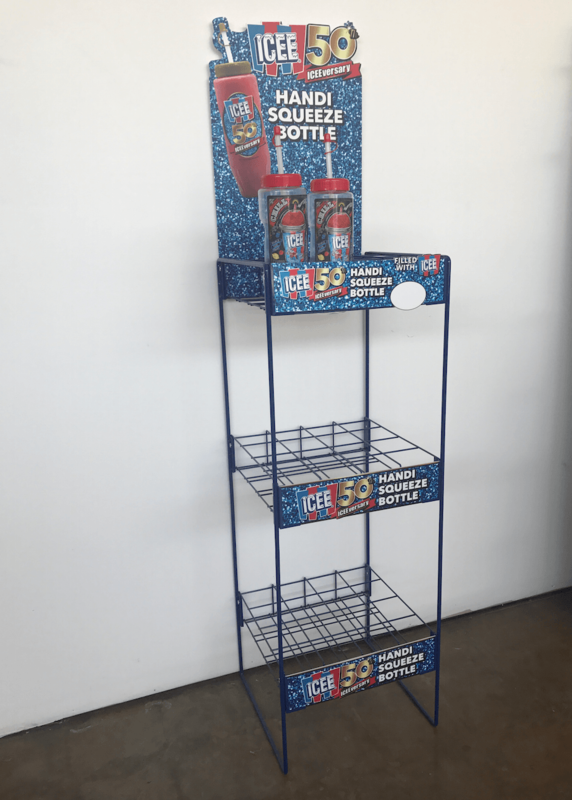 ICEE Company tasked Lush Retail Environments with producing a freestanding floor display that was not only eye catching but easy to assemble and within budget. Many of these racks are planned to be used outdoors at amusement parks and events, so not only did it need to be strong, it needed to be easy to ship all over the world. This powder coated steel wire rack is able to withstand the test of time as well as the outdoor elements. 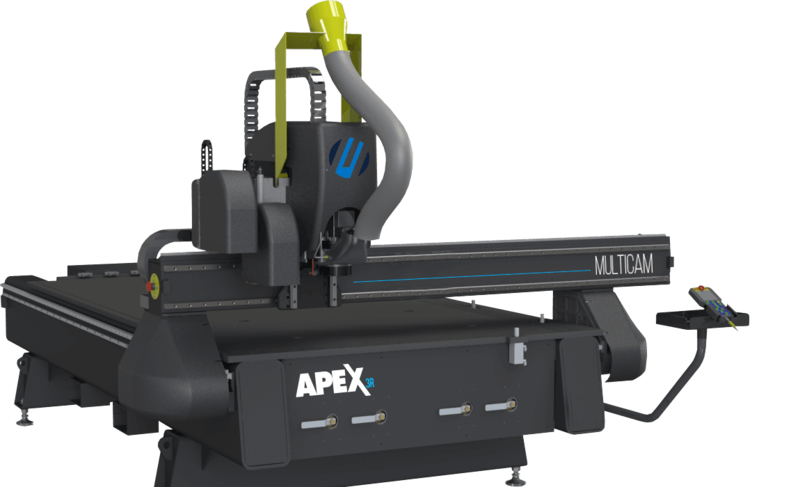 It ships knocked down in a small box, and it's easily assembled in under five minutes. Contact sales@lushretail.com today to see how we can help generate revenue for your brand. 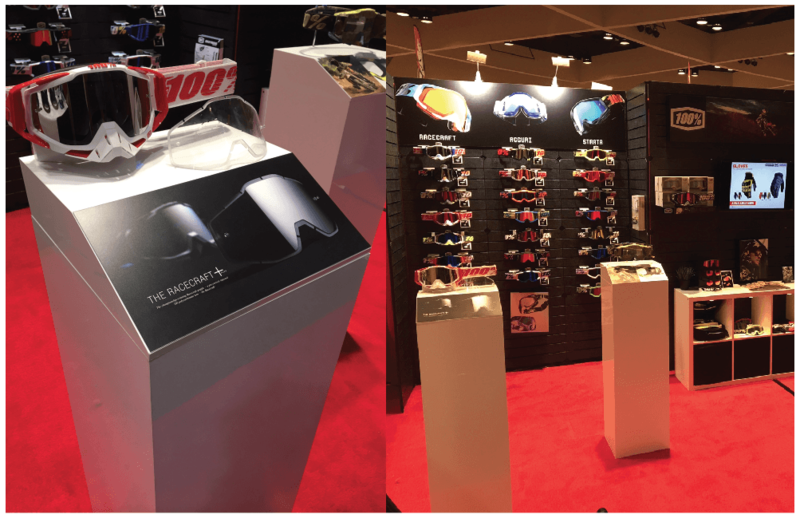 Lush Retail Environments produced custom product pillars designed to showcase 100% Racing's new goggle lines for this year's trade show season. These pillars are modularly designed to support "goggle toppers" (shown here). Or the "goggle toppers" can be removed and replaced with a clear acrylic display cube so that any product type can be showcased inside. At Lush Retail, we consistently promote implementing modular display concepts to provide our customers longevity, versatility and flexibility in all of their event and trade show marketing needs. This summer Lush Retail Environments retrofitted a mobile events trailer that was used at Fender's Summer Concert Series. 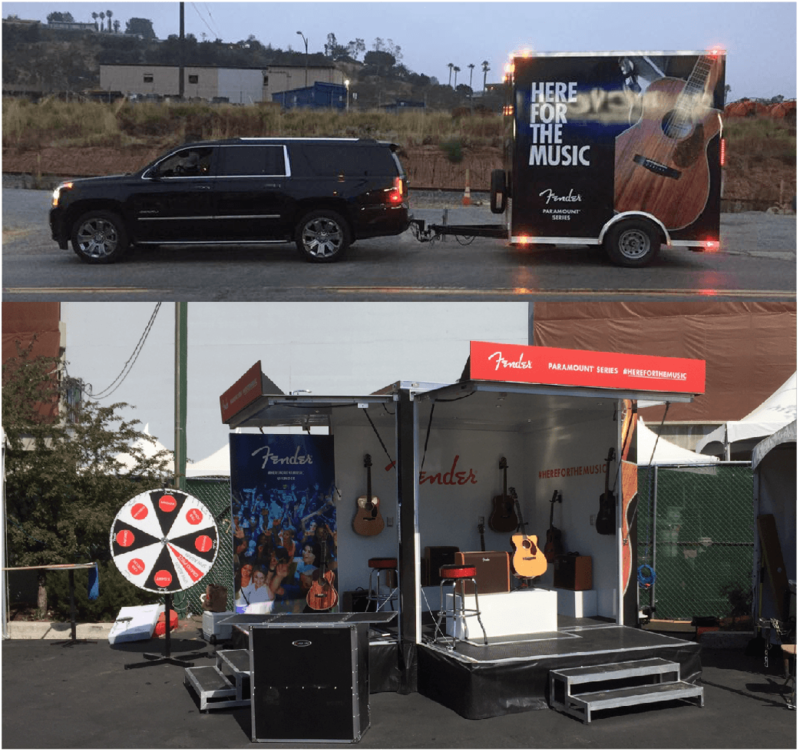 The trailer served as a mobile acoustic guitar sampling room as well as a way to engage with @Fender customers through prize giveaways and a photo booth. We included vinyl vehicle graphics on the outside, interior vinyl logo graphics, outdoor PVC signage, a spinning magnetic prize wheel, and three "Amp Risers." In today's rapidly evolving retail environment, brands cannot solely rely on customers to come to their stores to try out products. It's essential to get your products in front of your segmented customers at events like these. Call or email us today to see how we can help generate sales for your brand. 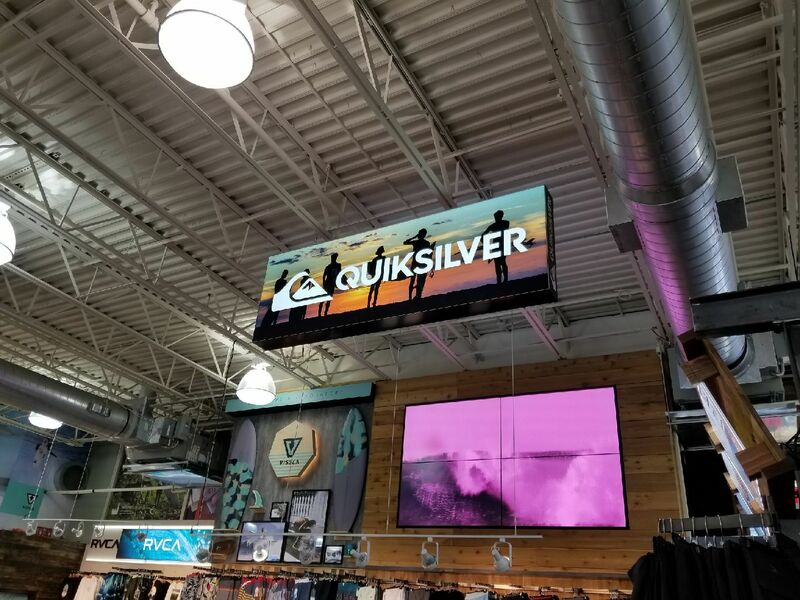 Lush Retail Environments just finished installing a custom, 2-sided fabric lightbox for the Quiksilver section at BC Surf & Sport in Ft Lauderdale, FL. We handled lightbox fabrication, fabric graphic production, delivery, and installation on-site at the store. Call or email us today to see what we can do for you and your brand! 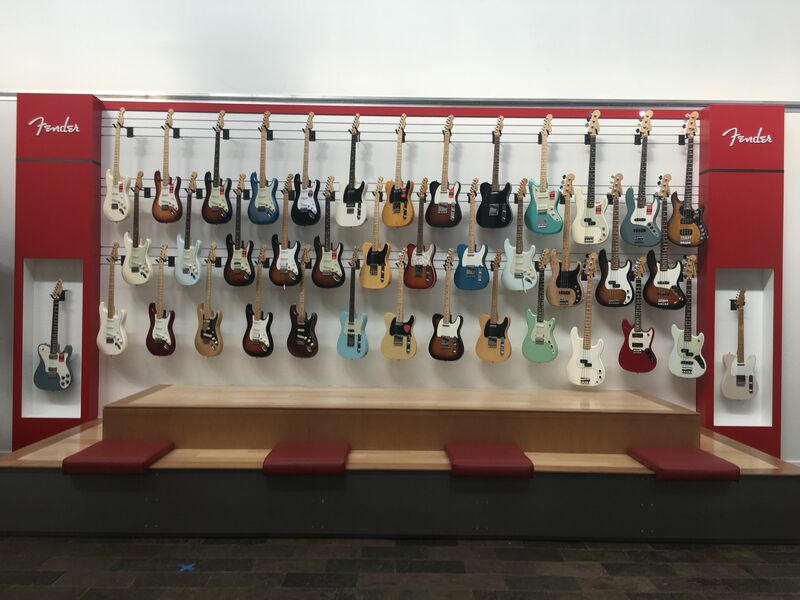 First look at the new retail wall in the atrium of the @Fender lobby in Scottsdale, AZ. Lush Retail Environments handled the design, manufacturing, delivery, and installation of all components in this project from start to finish. This wall includes custom milled white slatwall panels and two "Fender" red wall guitar kiosks including laser cut white acrylic logos and custom dipped bronze trim.